Moesia was an ancient region situated in the Balkans, along the south bank of the Danube River. 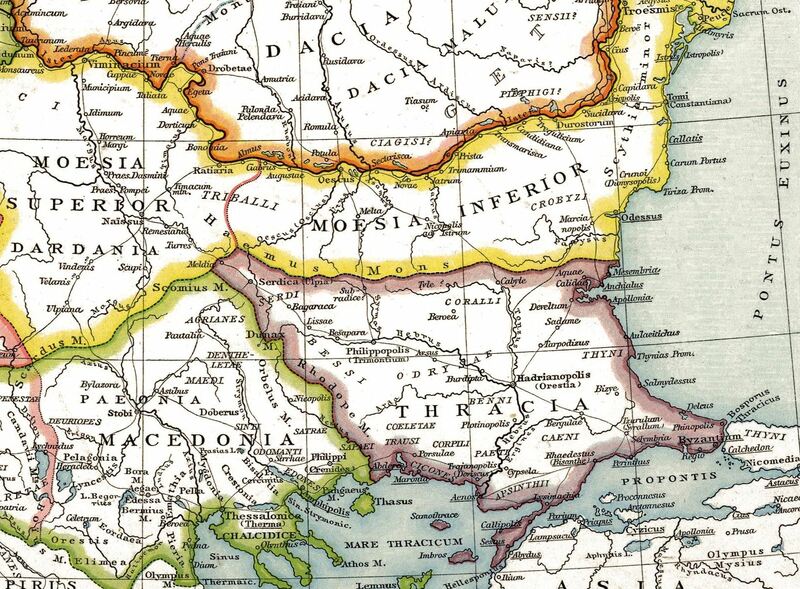 The region was inhabited chiefly by Thracians, Dacians (Thraco-Dacians), Illyrian and Thraco-Illyrian peoples. The name of the region comes from Moesi, Thraco-Dacian peoples who lived there before the Roman conquest. In 75 BC, C. Scribonius Curio, proconsul of Macedonia, took an army as far as the Danube and gained a victory over the inhabitants, who were finally subdued by M. Licinius Crassus, grandson of the triumvir and later also proconsul of Macedonia during the reign of Augustus c. 29 BC. As a frontier province, Moesia was strengthened by stations and fortresses erected along the southern bank of the Danube, and a wall was built from Axiopolis to Tomi as a protection against the Scythians and Sarmatians.